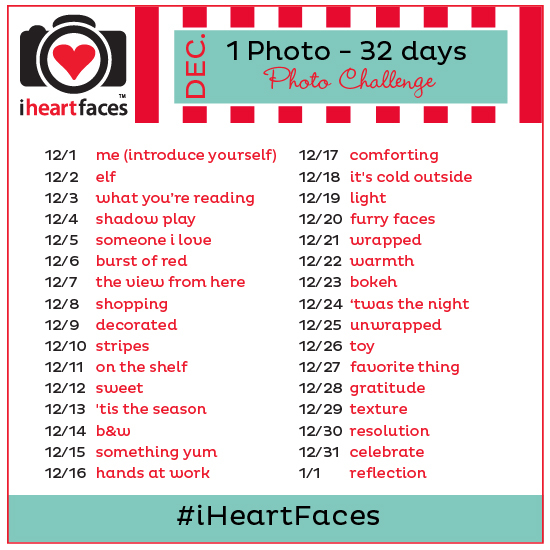 It's December, and at the prompting of a friend, we are doing a 31 day photo challenge. Every day this month there is a theme, and we will each be taking a picture to go with it. Some of the days it will be collaborative, and some days we'll each do our own thing. 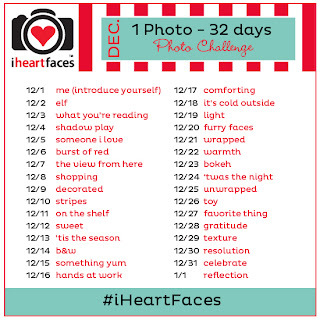 Check out the link to the challenge: iheartfaces.com. I don't know of anyone other than Matt doing it, but you can find his submissions here.